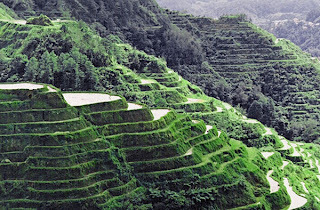 Travels of Dane Hodges - Dane Hodges travels the Philippines! 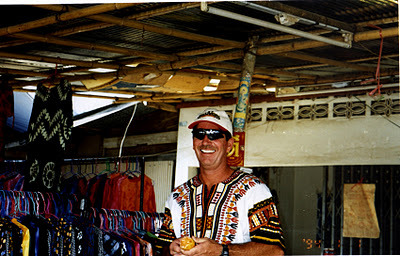 Dane Hodges has a special connection to the Philippines. It was the birthplace of his mother, Jeanne (Villar) Hodges, and the home of his grandparrents and two great-grandmothers! In addition, it is a common flight path outbound or inbound from his home 1350 miles to the east in the North Marianas islands, so trips through PI are frequent! 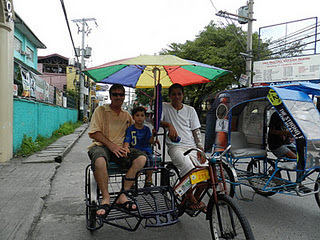 Dane has ventured from the rice teraces of Bagio to the slopes of Mt Mayan, from beaches of Boracay and Cebu to the shores of Subic Bay, from the malls of Makati to the Chocolate Mounds and more. A democratic republic located in the Western Pacific Ocean, the Republic of the Philippines is made up of the Philippine Islands and is the island group at the northernmost part of the Malay Archipelago. The Philippines is situated about 1,210 km (about 750 mi) east of the coast of Vietnam and is separated in the north from Taiwan by the Bashi Channel. 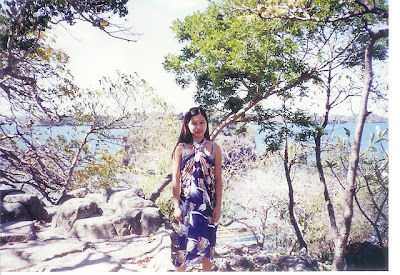 Bounded on the east by the Philippine Sea (and Pacific Ocean), on the south by the Celebes Sea, and on the west by the South China Sea, the archipelagic state comprises about 7,100 islands. Resulting from this situation are great variations in climate, geography and vegetation. 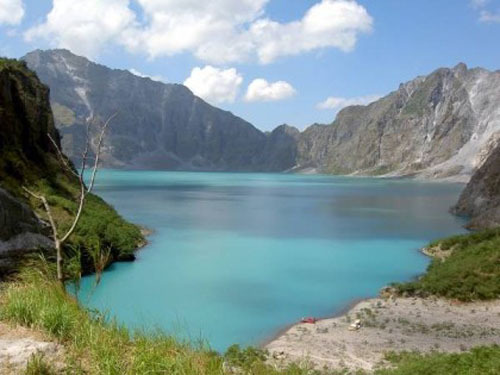 The total area of the Philippines has a total area of about 300,000 sq km (about 115, 830 sq mi). About 298,170 of the total area is land area with the remaining 1,830 being the total water area. The capital and largest city of the Philippines is Manila. Extending 1,850 km (1,150 mi) from north to south and almost 1,127 km (700 mi) east to west, the Philippine Island group is of volcanic origin and generally mountainous. Running parallel to the coasts, as well as bordering them in many places, the mountain ranges extend north to south. There are about 20 active volcanoes on the islands, and earthquakes are fairly common. 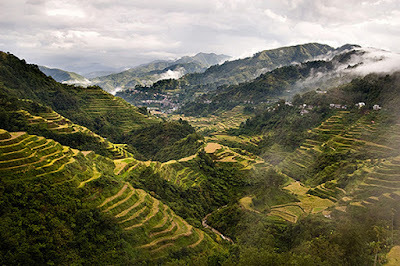 The larger islands, Luzon and Mindanao, are characterized by high mountains with alluvial plains and narrow fertile valleys. Unlike the larger islands with their relatively diverse topography, the smaller islands are mountainous with surrounding flat lowlands. Considered to be part of the Tropics, the Philippines' mean annual temperature is about 80°F (27°C) with the interior valleys tending to be a little warmer and the mountain peaks a little cooler than the mean. 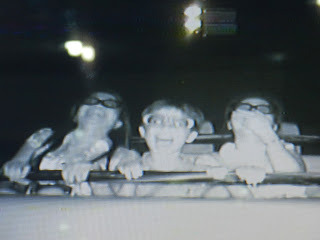 The relative humidity averages about 77%. 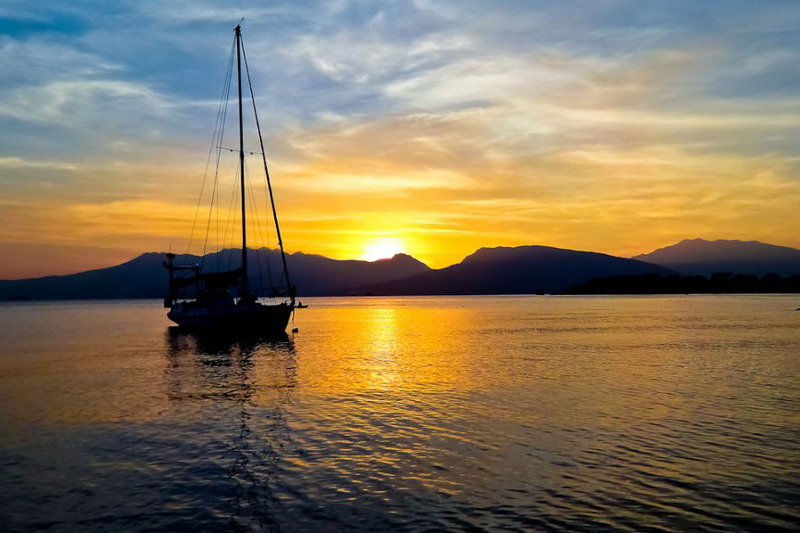 The rainy season is from May to November, which is the summer monsoon, while the dry season occurs during the winter monsoon from December to April. Typically, the weather is cool from November to February, while it's very hot and dry from March to May. The rainiest times are from June to October, with typhoons not uncommon during this time. The average rainfall in the lowlands is about 80 inches a year (2030 mm). The metatarsal of Callao Man is reported to have been reliably dated by uranium-series dating to 67,000 years ago thereby replacing the Tabon Man of Palawan, carbon-dated to around 24,000 years ago as the oldest human remains found in the archipelago. Negritos were among the archipelago's earliest inhabitants but their appearance in the Philippines has not been reliably dated. There are several opposing theories regarding the origins of ancient Filipinos. F. Landa Jocano theorizes that the ancestors of the Filipinos evolved locally. Wilhelm Solheim's Island Origin Theory postulates that the peopling of the archipelago transpired via trade networks originating in the antediluvian Sundaland area around 48000 to 5000 BCE rather than by wide-scale migration. The Austronesian Expansion Theory states that Malayo-Polynesians coming from Taiwan began migrating to the Philippines around 4000 BCE, displacing earlier arrivals. Whatever the case, by 1000 BCE the inhabitants of the archipelago had developed into four kinds of social groups: hunter-gathering tribes, warrior societies, petty plutocracies, and maritime-centered harbor principalities. Trade between the maritime-oriented peoples and other Asian countries during the subsequent period brought influences from Hinduism, Buddhism, and Islam. During this time there was no unifying political state encompassing the entire Philippine Archipelago. Instead, the islands were divided among competing thalassocracies ruled by various datus, rajahs, or sultans. Among them were the kingdoms of Maynila, Namayan, and Tondo, the rajahnates of Butuan and Cebu, and the sultanates of Maguindanao and Sulu. Some of these societies were part of the Malayan empires of Srivijaya, Majapahit, and Brunei. 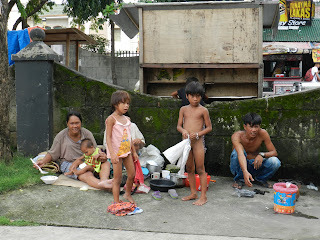 Islam was brought to the Philippines by traders and proselytizers from Malaysia and Indonesia. By the 15th century, Islam was established in the Sulu Archipelago and by 1565 had reached Mindanao, the Visayas, and Luzon. Philippine history, many argue, did not begin with the coming of the Portuguese explorer, Ferdinand Magellan in 1521. Rather, it began in the 13th century, when 10 datus from Borneo, each with a hundred of his kinsmen, landed in what is now known as Panay Island in the Visayas. Yet, it was Magellan and succeeding expeditions from Spain, who put the Philippine archipelago on the map of the world. The intrepid Magellan was dubbed as the discoverer of the Philippines after he landed in Homonhon Islet, near Samar, on March 17, 1521. He was later killed in Mactan Island of Cebu in a clash with native warriors, led by a chieftain named Lapu-Lapu. The Philippines was a prize catch for Spain which, at that time, was locked in a fierce struggle for world colonization with Portugal. The archipelago, named Filipinas for Spain's Philip II, was composed of 7,107 islands and islets spanning 1,854 kilometers from north to south. The Philippines, also a window to the New World, stretched from China to the north and the Indonesian archipelago to the south. The northernmost tip of the country, Y'ami of the Batanes Island group, is 241 kilometers south of Taiwan, while the southernmost tip, Sibutu of the Tawi-Tawi group of islands, is just 14.4 kilometers north of Borneo. The Philippines, in fact, is at most strategic location, making it a natural hub for commerce. Manila and Cebu are premiere centers of trade in the region. To the east is the vast Pacific Ocean and beyond it, the New World. To the west are the kingdoms of Indochina, including Cambodia and Thailand; while southwest is Malaysia. There are three major geographical groups in the country: Luzon, Visayas, and Mindanao. The northern portion of the archipelago is composed of the largest island, Luzon. 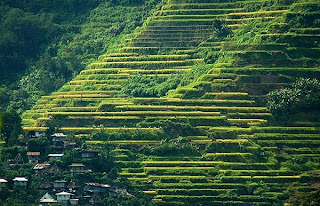 The Visayas region is made up of about 6,000 islands, including Panay, Leyte, Samar, Cebu, and Bohol. 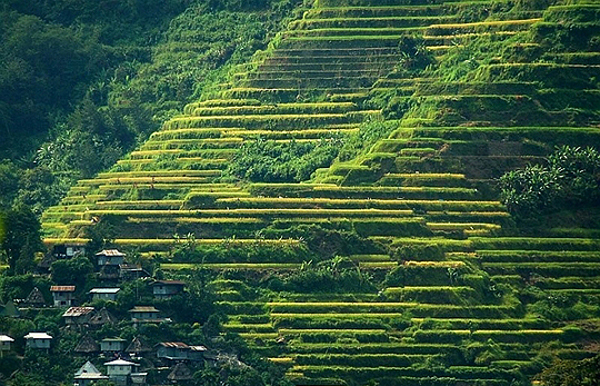 Mindanao is the second largest island and encompasses about 400 smaller islands. Spanish colonizers succeeded in introducing Christianity in Luzon and Visayas but were unsuccessful in Mindanao, where Muslims staved off Spanish efforts. Spain's rule lasted from the 16th to the 19th century but was marked with a series of revolts. When three Filipino priests were executed for national activities, a group of reformists formed the Propaganda Movement that would later paved the way for the Philippine Revolution. A young doctor-writer, Jose Rizal, was arrested and later executed by Spanish officials for his scathing criticisms of Spanish rule in the Philippines through two novels. Rizal, who was just 30 years old when he was executed, would later be recognized by historians as Asia's first nationalist. His contemporaries include Gandhi and Dr. Sun Yat-sen. The Philippine Revolution was launched after Rizal's death and was led first by Andres Bonifacio and then by Emilio Aguinaldo. Philippine independence was proclaimed on June 12, 1898, on the balcony of Aguinaldo's home in Cavite. However, the Philippines was annexed by the Americans by means of the Treaty of Paris with Spain on December 10, 1898. This brought about the Filipino-American War. The Philippines then remained an American colony for nearly 50 years. In 1935, a semiautonomous Philippine Commonwealth was inaugurated in Manila, with President Manuel L. Quezon and Vice-President Sergio Osmena. This became the Philippine government in exile during the war. From 1941 - 1945, the Philippines came under the Japanese empire. A puppet government, the Second Philippine Republic, was established, with President Manuel A. Roxas. This was the first fully independent and internationally recognized Filipino government. The Philippines then became the showcase of democracy in Asia and had peaceful transition of power through many successive presidents - Roxas, Quirino, Magsaysay, Garcia, Macapagal, and Marcos. On September 21, 1972, President Marcos declared Martial Law and pushed through a new constitution in 1973, which prolonged his stay in power. He jailed his political rivals, dismissed Congress, silenced media critics, and ruled as a virtual dictator in what he called "Constitutional Authoritarianism." On August 21, 1983, his arch-rival, former Senator Benigno "Ninoy" Aquino, returned home from three years of self-exile abroad. At the airport, Aquino was shot dead by a military assassin. 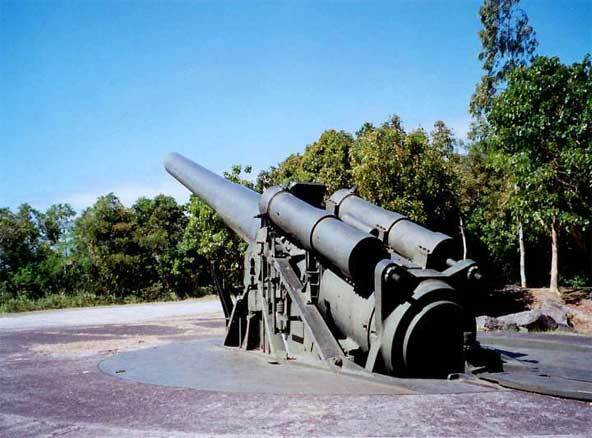 This galvanized the Filipino people to fight the dictator. And on February 22, 1986, Defense Minister Juan Ponce Enrile, Deputy Armed Forces Chief of Staff Lt. Gen. Fidel V. Ramos, and reformist military officers broke away from the Marcos camp and prepared to fight a bloody confrontation with Marcos and his loyalist forces. They were supported by the "People Power Revolution" of February 22-25, 1986, which forced Marcos and his party to flee to Hawaii on board the US Air Force planes. MANILA, Feb. 11 (Xinhua) -- Massive poverty remains a problem in the Philippines despite its much vaunted growth. 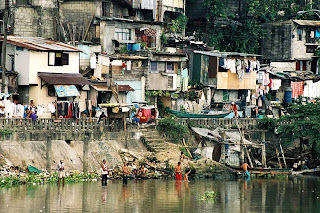 The Philippines posted a record 7.3 percent GDP growth in 2010, but such growth failed to lift most Filipinos from poverty. 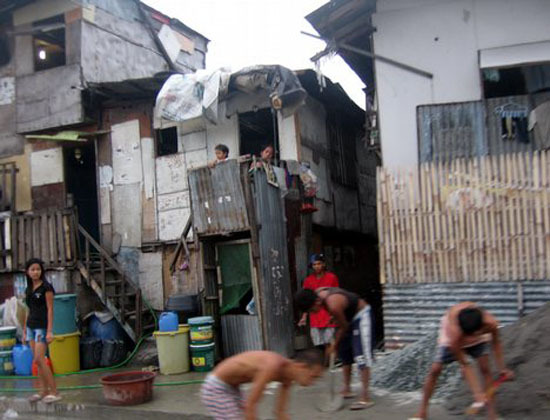 The National Statistical Coordination Board (NSCB) reported Tuesday that poverty incidence in the Philippines hit 26.5 percent in 2009. This is little changed from 26.4 percent recorded in 2006 -- the last time that a poverty survey was conducted. A total of 23.1 million of Filipinos -- about a third of the country's 90 million populace -- are still subsisting on below 2 U. S. dollars per day. This figure which is considered among the highest in Southeast Asia. NSCB Secretary General Romulo A. Virola estimates that government needs to reduce poverty incidence by 2 percentage points every year to meet its Millennium Development Goal (MDG) of slashing poverty incidence by half in 2015. 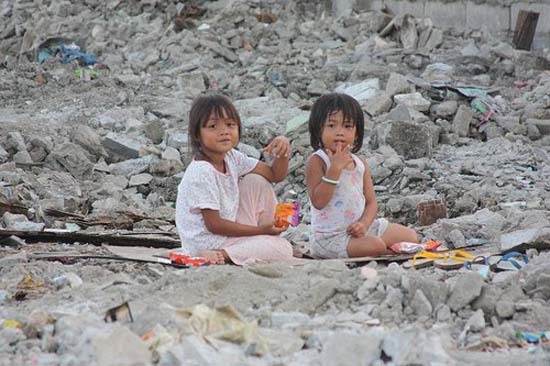 Analysts are not surprised that the poor are the last to benefit from the country's economic gains. 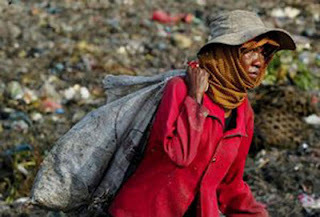 Leonor Magtolis-Briones, lead convener of advocacy group Social Watch Philippines, said that as long as the unemployment rate remains high, people won't be able to escape from poverty. Economic growth hardly dented the country's high unemployment and underemployment rate. In its latest global employment report issued last month, the International Labour Office (ILO) said that "employment growth in the Philippines slowed considerably in the second quarter of 2010, despite the faster economic growth that was achieved in the first quarter." The National Statistics Office reported early this week that unemployment rate in the Philippines in 2010 was at 7.3 percent, slightly lower than the 7.5 percent rate in 2009. About 2.9 million Filipinos were unemployed in 2010. The number of underemployed workers in 2010 was 6.8 million, representing an annual underemployment rate of 18.7 percent. Lawrence Jeff Johnson, director for ILO's country office in Manila noted that more than the lack of jobs itself, it is the quality of jobs available that prevented poor Filipinos from escaping the plight. 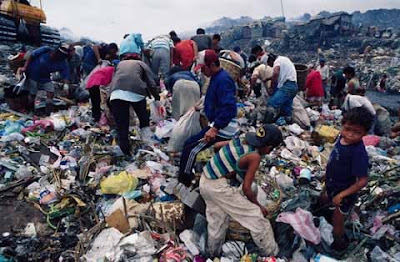 A lot of poor Filipinos are among the so- called "vulnerable workers" -- working on low paid jobs that don't offer social security, health insurance and other benefits. These "vulnerable workers" include pedicab drivers, street vendors and unpaid family workers. Socioeconomic Planning Secretary Cayetano Paderanga Jr. is optimistic that private investments in tourism and agriculture combined with the government's Conditional Cash Transfer (CCT) program will ensure that millions will be lifted out of poverty. "I think the social programs that the government has continued and expanded will have a good chance in catching those really at the bottom of the spectrum and be able to push a bit some of them forward," he said. But Briones is critical of the government's CCT program. "The government's CCT has no exit program. How long would you continue giving cash dole outs to the poor?" she said, adding that the more sustainable solution to the poverty problem is to create more jobs. "But how do you solve joblessness? For that you have to look at the national budget," she said. Briones said that instead of pouring money in CCT, the government should invest in infrastructure and agriculture -- which will provide more jobs to people. She also advised that more government funds should go to Visayus and Mindanao -- as most of the country's poor are living in central and southern Philippines. ILO's Johnson suggested that the government and the private sector should invest on workers to raise productivity and enable workers to enjoy higher wages. Street vendors, for instance, can be trained to become service workers in hotel and restaurants. Johnson added there's also a need to address the current job mismatch. For instance, Johnson said that there are a big number of unemployed nursing graduates. On the other hand, there's a shortage in skilled and in demand medical transcriptionist. Johnson said skilled professionals can be trained for jobs which has a strong demand in the market. The latest survey(UNICEF) shows that 200,000 Filipino children are living on the streets exposed to unsavory influences. As many as 60,000 are vulnerable to sexual exploitation. At least 66 per cent under the age of six do not have any childcare. 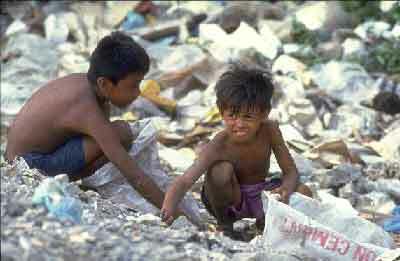 And more than 6 million children are between malnourished to starvation. A United Nations official yesterday said there is an urgent need to raise awareness among Filipinos on the need to bring to “zero level” the problem of corruption which remains a serious problem in the country. Renaud Meyer, Coun-try Director of the United Nations Deve-lopment Program (UNDP), stressed that the whole country must be more vigilant against corruption following allegations that it has reached the highest levels of government. “Corruption as a principle... is an infringement to human rights. It’s one of the strongest impediments that hinders the fight against poverty. So it’s no, no, no to corruption. That will be the first message and the second message is zero tolerance,” Meyer said at the UN Convention Against Corruption (UNCaC) Summit in Manila. Meyer warned that the weak justice system, weak prosecution and lack of convictions would erode public trust and confidence in the government and its institutions. He noted that the most important danger is when individual Filipinos start accepting corruption as a natural thing. Over the years, long-standing problems on corruption in the Philippines, poor governance, unsound business policies and weak rule of law, have kept foreign investors at bay. Even more disappointing is the fact that the Philippines’ development performance over the past years has been less impressive compared to neighboring states in the region as billions of pesos intended for development projects go to corruption. In January this year, the World Bank, one of the leading financial donors to the Philippines , blacklisted seven companies—three Filipino and four Chinese—involved in road projects after an investigation found evidence of bid-rigging. In the probe conducted by the WB, three witnesses, including a Japanese contractor, alleged that presidential spouse Jose Miguel Arroyo and other top government officials were involved in the anomaly. “I think it’s very important that young Filipinos still have trust in the leaders of the country, still have trust in the institutions of the country, still have trust in the systems that are running the country,” Meyer said. “If they lose this trust, then you know we’re losing 65 percent of the population and their commitment to make the Philippines a better country for themselves. It’s a very serious trust issue and corruption is a challenge that really hurts and has the potential to undermine this trust among the people,” he added. The latest Social Weather Station (SWS) survey showing an increase in hunger is a major concern that must be taken seriously and not brushed off in a squabble over statistics. According to the March 4-7 poll 20.5% of respondents -- or an estimated 4.1 million families -- have gone hungry at least once in the past three months. This is up from the estimated 3.4 million families recorded in November 2010, i.e., almost one million extra families are going hungry today due to poverty. 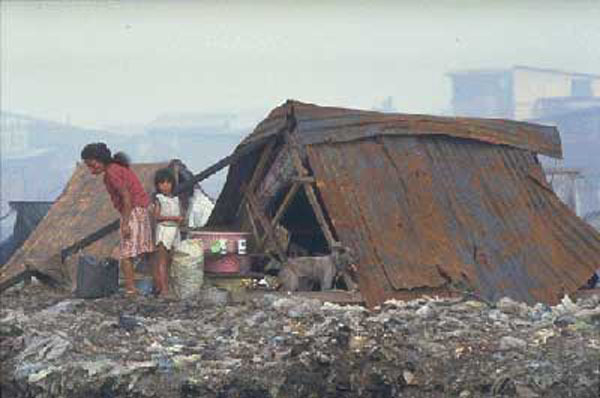 Along with the other examples of poverty and marginalization – such as the shocking deaths of up to 30 people in Palawan, including children, due to easily preventable ailments such as diarrhea – this demonstrates that the situation of the masses is deteriorating. What is equally of concern to us is the response of President Noynoy Aquino: his expression of disbelief at the survey results. According to the President the figures are skewed because the impact of the conditional cash transfers (CCT) measures of the government implemented in Visayas and Mindanao, have not been reflected in the survey. Bickering about statistics when people are going hungry does not do justice to a government that claims to be serious about reducing poverty. The fact is that wide-spread poverty, and related hunger, continues to exist and is the most serious socio-economic problem that the country faces today. We don’t need statistics to tell us this. The masses know this and we experience it in our daily lives. The deteriorating situation of the masses and the seeming inability of the government to reverse the trend represent the failure of the government to carry out its promise of poverty reduction during its first year in office. The President refers to the CCT program, but CCTs are specific measures used to address some aspects of poverty and are usually short-term, implemented during periods of crises (and even on this score they’re effectiveness is debatable). CCTs are not development programs and cannot substitute for comprehensive development and poverty reduction strategies. The fact that the President can only point to the CCT measures is an indication that the government has no meaningful development program and strategy to address poverty. This is a major concern. This is no time to squabble over statistics. We needed far reaching reforms and strategies – at least 12 months ago. Without meaningful measures and reforms the situation for the masses will continue to worsen, and poverty and hunger will increase. The President must put forward a concrete development plan. The President must have a clear strategy for poverty reduction and must have the political will to implement them. At the heart of such a strategy and plan should be far-reaching measures for job creation for the country’s citizens – not CCTs. There is no time to waste. The people are hungry and are getting desperate. A first step to providing the masses with immediate protection against sliding further into poverty would be for the President to mandate a meaningful increase in the minimum wage for all workers. 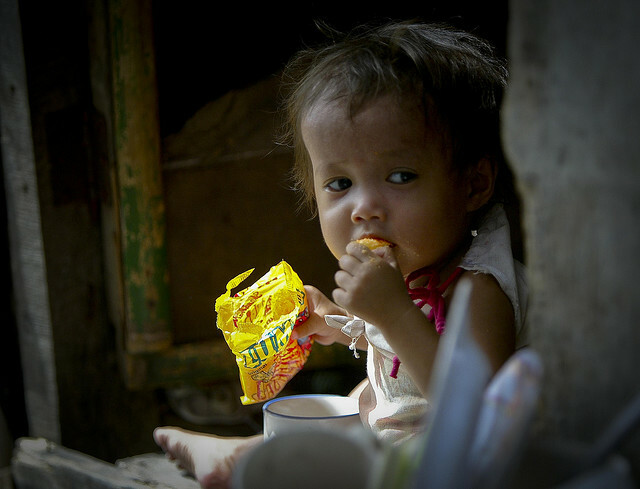 Preventable child deaths in Palawan: What happened to the CCT program? 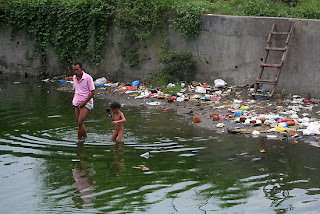 According to the latest reports at least 30 people, mostly children belonging to a Palawan tribe, died in what health authorities suspect to be an outbreak of cholera due to contaminated water. At least seven out of every ten dead were children under five years of age. The tribal community struck by suspected cholera live in Bataraza town. cash transfer (CCT) program would reach out to communities such as these, and provide households cash and other services for health and nutritional expenses. 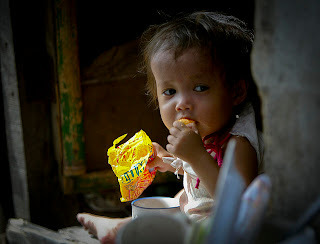 Palawan is also supposed to be one of the 20 poorest provinces in the country where the CCT program is being implemented. In fact the province has been described as a Set 2 beneficiary area, where the CCT program was started in April 2009 under the Arroyo administration and has been continued until 2014 under the government of President Noynoy Aquino. 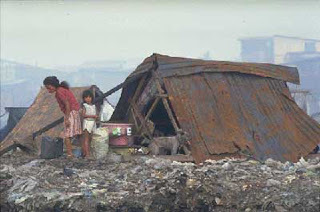 It was supposed to address poverty and improve the health of precisely these types of poor and marginalized communities. If the CCT was really effective, why should such disasters happen?” Emma Garcia, spokesperson for PLM-Women queried? "We organized a women's picket outside the Department of Health on Friday April 08 and PLM-Women are prepared to continue these women's pickets outside the DSWD and other relevant agencies until their questions are answered." That children are dying due to preventable ailments such as diarrhea is an outrage that’s happening in 21st century Philippines. And the fact is that this is not an isolated incident. 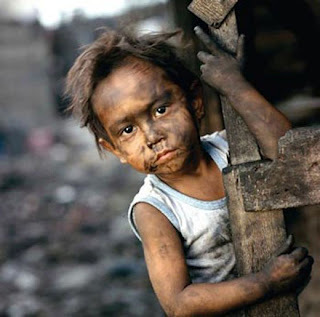 According to UNICEF Philippines, the UN organization mandated to work for children’s rights, diarrhea is a leading cause of under-five deaths in the country, responsible for almost 10,000 deaths per year. 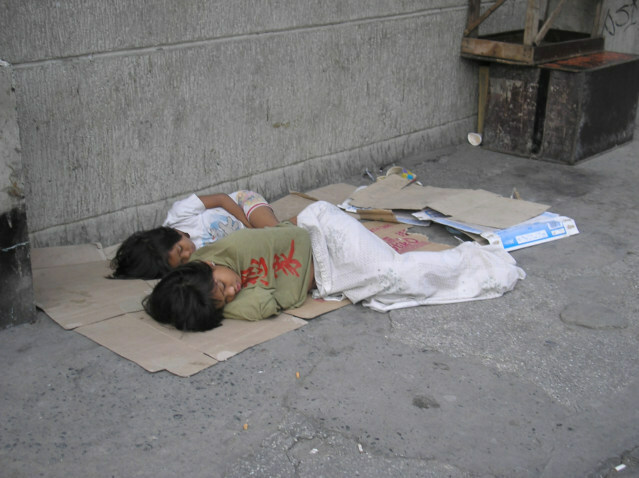 “We call on the government of President Aquino for action, not mere words and sweet talk. Increase the health care budget now, establish a system of universal health care, and push for the immediate passage of the RH Bill which will save mothers and childrens lives”, Emma Garcia said. Dr Jose Protacio Rizal was born in the town of Calamba, Laguna on 19th June 1861. 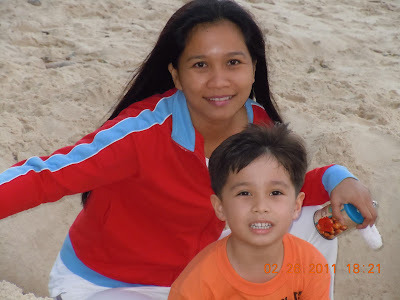 With his mother as his first teacher, he began his early education at home and continued it in Binan, Laguna. He entered a Jesuit-run Ateneo Municipal de Manila in 1872 and obtained a bachelor's degree with highest honors in 1876. 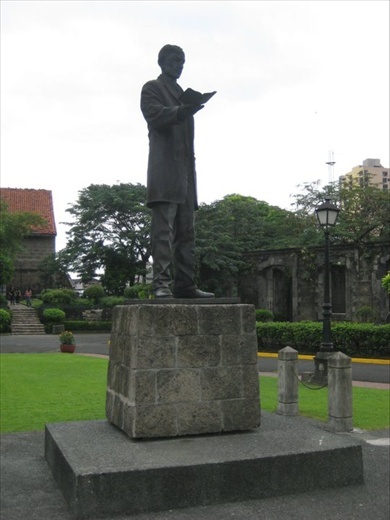 He studied medicine at the University of Santo Tomas but had to stop because he felt that the Filipino students were being descriminated by their Dominican tutors. He went to Madrid at Universidad Central de Madrid and in 1885 at the age of 24, he finished his course in Philosophy and Letters with a grade of "Excellent". He took graduate studies in Paris, France & Heidelberg, Germany. He also studied painting, sculpture, he learned to read and write in at least 10 languages. Rizal was a prolific writer and was anti-violence. He rather fight using his pen than his might. Rizal's two books "Noli Me Tangere" (Touch Me Not) which he wrote while he was in Berlin, Germany in 1887 and "El Filibusterismo" (The Rebel) in Ghent, Belgiun in 1891 exposed the cruelties of the Spanish friars in the Philippines, the defects of the Spanish administration and the vices of the clergy, these books told about the oppression of the Spanish colonial rule. These two books made Rizal as a marked man to the Spanish friars. In 1892 when Rizal returned to the Philippines, he formed La Liga Filipina an non violent reform society of patriotic citizen and a forum for Filipinos to express their hopes for reform, to promote progress through commerce, industry and agriculture and freedom from the oppressive Spanish colonial administration. On July 6, 1892, he was imprisoned in Fort Santiago, on the charge of fomenting unrest against Spain, he was exiled to Dapitan, in northwestern Mindanao. He remained in exile for four years, while he was in politcal exile in Dapitan, he practice medicine, he established a school for boys, promoted community development projects, he applied his knowledge in engineering by constructing a system of waterworks in order to furnish clean water to the towns people. In Dapitan he also met, fell in love and lived with Josephine Bracken. In 1896, the Katipunan, a nationalist secret society launched a revolt against the Spaniards, although Jose Rizal had no connection with the organization, his enemies were able to link him with the revolt. To avoid being involved in the move to start a revolution, he asked Governor Ramon Blanco to send him to Cuba but instead he was brought back to Manila and jailed for the second time in Fort Santiago. On December 26, 1896, after a trial, Rizal was sentenced to die, he was convicted of rebellion, sedition, and of forming illegal association. On the eve of his execution while confined in Fort Santiago, Rizal wrote a poem Mi Ultimo Adios (My Last Farewell) and hid it inside the gas burner and gave the gas burner to his sister Trinidad and his wife Josephine. He was executed on December 30, 1896 at the age of 35 by a firing squad at Bagumbayan, now known as Luneta Park in Manila. Jose Rizal was a man of many accomplishments - a linguist, a novelist, a poet, a scientist, a doctor, a painter, an educator, a reformer and a visionary, he left his people his greatest patriotic poem, Mi Ultimo Adios to serve as an inspiration for the next generations.